Here’s a basic rundown of Mary Kay’s seminar and what you can expect to “experience.” Cold hard reality about what it takes to get through this three days of heat, irritation, rah-rah, and very little learning. By now, your director is being pressured to increase the number of unit members attending, and you will be asked for some additional funds to pay for your unit banquet/party/dinner. It’s another can’t miss event. Have you arranged transportation? It might be cheaper this year to fly than to drive. There will be a shuttle to take you to the hotel from DFW. People in pink will show the way. It usually only costs about $15-20 plus the tip. You ARE staying in the nsd’s hotel aren’t you? Never mind those inflated prices; it’s the principle of the thing. The hotels are assigned to nsd’s based on area size, it is so important to stay THERE. If the block of rooms is not filled, your nsd may have to absorb some of the cost of her suite, and the price your directors are paying for your gifts from your nsd might go up accordingly. Aren’t you pleased that Mary Kay charges only $225 for this adventure? The first stop in this whirlwind is the area awards banquet. You have been assessed an extra fee for this, but it is so worth it. If you are not a top achiever, you will still enjoy the chicken dinner and get to watch lots and lots of top achievers receive lots and lots of tacky, but meaningful, gifts from your nsd for their efforts during the past seminar year. You may notice that the directors all have the same color of clothing on. It’s a “theme” and those who do not comply with the color code are to be pitied. Don’t count on having the tea/coffee/water refilled after the awards portion of the banquet starts. Sorry. When you have a pricey little snack in the hotel, please don’t warm chat the wait staff. They have been hit up more times than you can count, and are simply not interested. They will, however, appear interested, because they have learned that their interest level is directly related to the amount of your tip. The vendors are a fun time! And amazingly expensive. You will note that there is a directors only section. This is where we buy the tacky gifts we tempt you with for the next year. You will not know that the books that are sold in your area are a little more expensive than the books we can buy in our area. If you find the book that will turn your business around and give you just what you need to move forward, ask your director to pick it up for you on her side. Save your money. Check eBay or Half.com. This year’s Expo items will be on eBay in a month or two. There will be much excitement as the new products are unveiled and romanced by the corporate staff. You will be told again, that MK products are cutting edge, top of the line, researched thoroughly and on trend. It will be oh so thrilling with much clapping and some tears and Richard or Darrell will take the stage and talk about how much the company has grown this past year. You will be reminded that you are in the right place at the right time! Those negative blogs are NOT having an effect on the company, it’s leadership or it’s beloved sales force. As we have discussed on the blog a number of times, the recognition, the name badge ribbons, the unit clubs, the trips, jewelry and hype “earned” in some cases is fraudulent. These women know on some level, that they didn’t earn their praise, so they will redouble their efforts for next year. Meanwhile, going across the stage, or coming down the stairs waving to thousands of women who don’t know who they are and don’t care is the epitome of success in Mary Kay. Awards night has been covered pretty thoroughly before, so we will go to the last morning. The top units will be introduced and it’s fun to see if the directors high five or hug their consultants. The speeches are expanded I stories, generally tweaked heavily to make more of an impact. The closing ceremony features the nsd’s lined up on the stage with candles. They say wonderful things that have little or nothing to do with Mary Kay, but it almost always brings people to tears. Remember by this time, you are totally exhausted, emotionally and physically, and incredibly vulnerable. Sarcasm aside, seminar is a money, time and soul sucker. You will be all fired up when you return home, ready to book, sell and recruit! You will awaken the sleeping giant within. The problem will be that women just won’t work on your time frame- they don’t want to have a class, or they don’t want to become your newest team member. The “no’s”are as a result of you not working hard enough or not believing enough, so buy a couple more cd’s or books to get your mind right and push through the fear. Speaking of sleeping giants, as my beloved reminded me during a particularly poignant I story, he had a sleeping giant, too, and did I want to awaken it? I still feel guilty about splorfing my water ($3.50) all over the back and carefully groomed hair of the director sitting in front of me. Mary Kay Myth: Seminar Will Change Your Life! Seminar is now $225. They get a $75 wholesale credit on their order in August instead of actual product gifts at packet pick up. That’s $50 more in expenses than just a few years ago when it was $175. Ludicrous! WHO ARE YOU?! There are a few of us left who truly believe in Mary Kay’s dream and legacy. Does it make you feel better to be a dream snatcher? Perhaps you could tone down the negativity. Sincerely, Sister Consultant. Mary Kay’s dream and legacy has resulted in MILLIONS of women losing money from this FAKE business opportunity. There is no dream. You’d be better off gambling your money away in Vegas, as you have a greater chance of turning a profit there. I was a Cadillac driver, picked up diamonds onstage, and gladly sold my product back. The unethical things you don’t know about made my mind up long before I took that step, so you need to watch the 20/20 episode where sister DIRECTORS like me admit they don’t know how much money they make and where Mk sent an ATTORNEY to deny that there are BIG problems in the sales force. And those $70 sheet masks you’re trying to figure out how to sell? Ridiculous abuse of consumers to think they (MK) can charge that much and still be “a company for women, by women”. I remember my inner circle NSD’s banquet. It was $75 for one of the worst dinners I ever had. The gift that year for the top “winner” were these cheap bracelets she bought in China. Don’t bother with Seminar. It is cheesy and the same “advice” is given year after year. Not sure how they are going to spin the lower numbers this year. Just look at Applause from 10 years ago to now. 10 years ago, top directors were pulling close to $200k a month in retail production, now not so much. Numbers don’t lie. Spot on point. The numbers are WAY lower than even 5 years ago. And you’re right, people are going to boast all July over where they ended up, but their illegitimate business will bottom out in July and August because they exhausted all of their resources to be onstage. Unit members won’t order as big, which means all those new cars earned in June will cause copays to kick in during Oct-Dec. IF YOU AREN’T EARNING THE EXTENDED DIRECTOR TRIP THIS YEAR, you aren’t clearing an “executive income” like you claim. Stop lying, stop fooling yourself, and don’t be so proud of mediocrity. IF YOU ARENT DOING $400,000 UNIT CLUB THIS YEAR, you aren’t a solid Cadillac Director or unit. Do the math. You or your Director driving it have made payments. Things aren’t as they seem. I saw one rejoicing that she “finished” her Alaska cruise. But, how much of her own money did she spend to “finish”? The pressure to go on these trips is tremendous. Otherwise, you look like a loser to your down line. And the 7-day vacation they are now “earning” for STAR? Reading the fine-print, it’s a time-share, off-peak, based on availability, complete with a time-share sales pitch. You also pay your own travel and other expenses and fees. No, things aren’t as they seem. A time-share for a Star award? Is this for the quarter or for 4 Stars? (Either way, it’s horrible!). Is this in the Applause? I saw two people mention it on FB. One said she finished the 7800 level for Star this quarter. The other thanked MK and her “amazing customers.” Endless Vacation by Wyndham Worldwide. Seven days means six nights. Tack on travel days. It’s a short, expensive vacation. I wonder how much dread happens to the Corporate employees, this time of year, when they have to “appear” at Seminar and play the part of the of fawning appreciative support person, as they watch the hollow and phony show…it really is such a sad display of women grasping for the spotlight…desperate to be seen as “achievers”, and all the while knowing that in June…they pushed and pressed and manipulated every possible Unit member and “T” consultant to “s t r e t c h” to get the Unit across the finish line. And for what? They will brag about the Un-bee-lievable Month, a celebration of how much credit card space they found, a giant pretense of “sales”, that will never reflect the buried in debt nausea their Unit members feel, and they, themselves, deny. And Corporate staffers absolutely know this…and they play along. Seminar is a game of financial abuse, lavish pretense, and ultimately awards fraud, claiming sales benchmarks that have no basis in reality. Imagine how they view their “sales force” as they play this pathetic game…how stupid did we really look, with our tears rolling down our faces as “jumbotron Mar” spoke to us from the grave? Well, they are getting paid to be there. And it’s the “rah-rah” chorus of “fake it ’til you make it” women in Seminar who are paying that bill. So of course the corporate employees are going to smile and make nice. They don’t want to upset their cash cow. When I was backstage, I once saw someone had written a sarcastic poem on the supports holding up the stage about “the show that never ends”. You’d have to be insane to enjoy 4 rounds of that nonsense. Think about what you’ve been told. Seminar as with every other MK fake training session, is filled with platitudes and alludes to that illusion of ethical accomplishment. The reality is that every single event is to indoctrinate you into staying even if it’s all a pink nightmarish lie. Absolutely no one wants to buy MK products anymore. Just as this generation no longer want their mom’s or grandma’s china cabinets etc. Most smart women search the internet before continuing with their MK path. Used to be a 48 hour window for door to door sales or impulse purchase. Consider the predatory rehearsed scripts as an impulse sale. Do yourself a favor and quit now today. If you’ve made it to one seminar, then realize that it is based on lies and propaganda. The NSD’s, Corp, and the heirs will say just about anything to keep this circus going. Realize the financial abuse is rampant and the dream you were sold is an illusion. This pink company promises an executive income with no intent of that ever happening for thousands of IBC’s and Directors. It appears that many would rather intentionally continue to deceive, than to call it a day and stop this abuse. Skip Seminar and go on a nice family trip. You will come to realize you don’t need the hype of Seminar with women who don’t actually care. Nothing Seminar does will change that NO ONE wants to buy MK or be recruited into this dated cult/mlm/pyramid scheme anymore. Skip Seminar entirely. Go enjoy Six Flags and Hurricane Harbor instead. You can get $20 off admission with a promo Coke can (available at any nearby gas station). There’s also a very nice Red Roof Inn near the parks where clean private rooms are only $50 a night, and they come with free breakfast that’s better than anything you’ll get at Seminar. 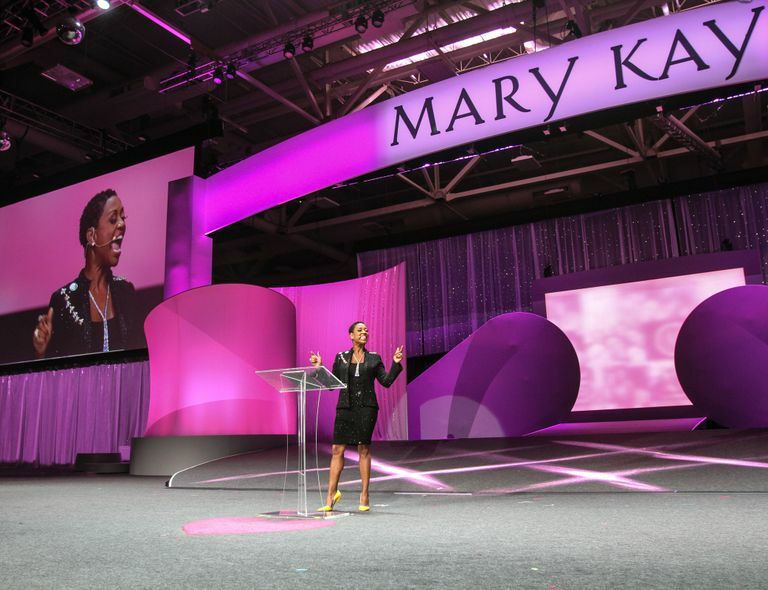 Mary Kay is for Mary Kay–not women. I went twice as a IBC back in 1981 & 1982,( cause had a hubby who had a good job.) Always wondered why we had to stay at the Hilton or Marriott, as knew there had to be cheaper hotels. – And, later at Leadership in Jan., got roomed with a consultant I didn’t know; and always wondered why I couldn’t stay w. my director. Second time at seminar, we flew our small private plane there & back; and best motel was at small airfield in Ft. Worth. Saw some beautiful scenery on way there & back which was only thing that made trip worthwhile. When is someone going to investigate this cult-like company like Leah Remini did for the Church of Scientology? This madness needs to stop. The 20/20 episode on pink Cadillacs will show you how clever they are. They’ve the most sly lawyers on staff you’ve ever seen and take the whole “independent contractor” loophole to excuse everything. Watch especially for 2 things: Laura Beitler’s response (she’s actually their lead attorney) and deer in the headlights of the Directors they interviewed.